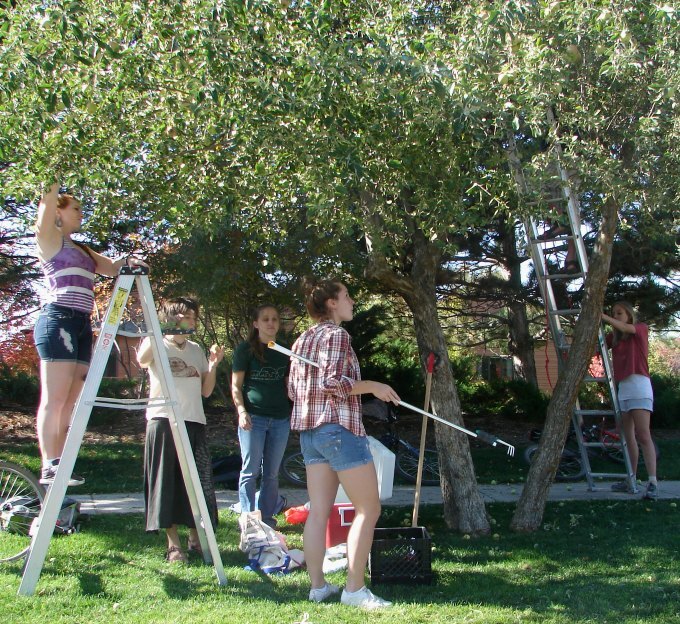 Thanks to helpful direction from the Great Bear Foundation, we’ve been able to mobilize several groups of volunteers for some successful apple gleaning. 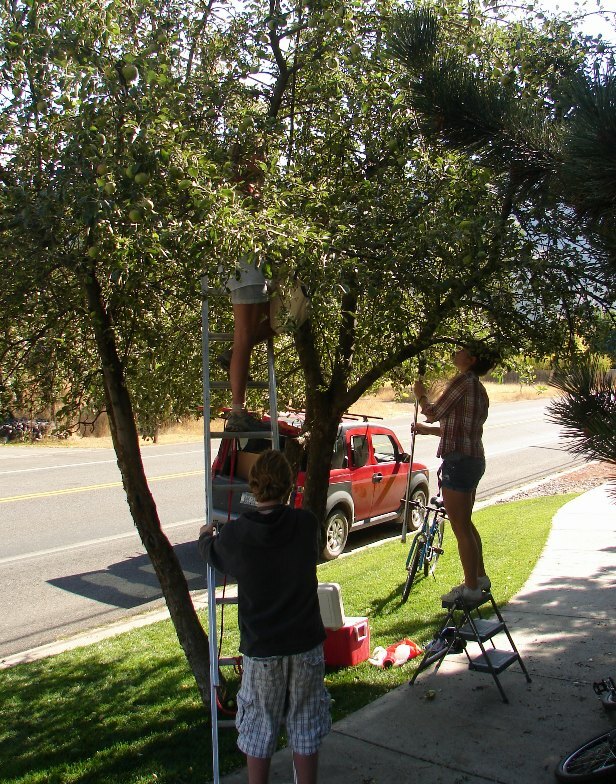 Rattlesnake residents have contacted GBF to request assistance with their trees, and to contribute apples to RCWG for pressing at our October 28th end-of-season celebration . 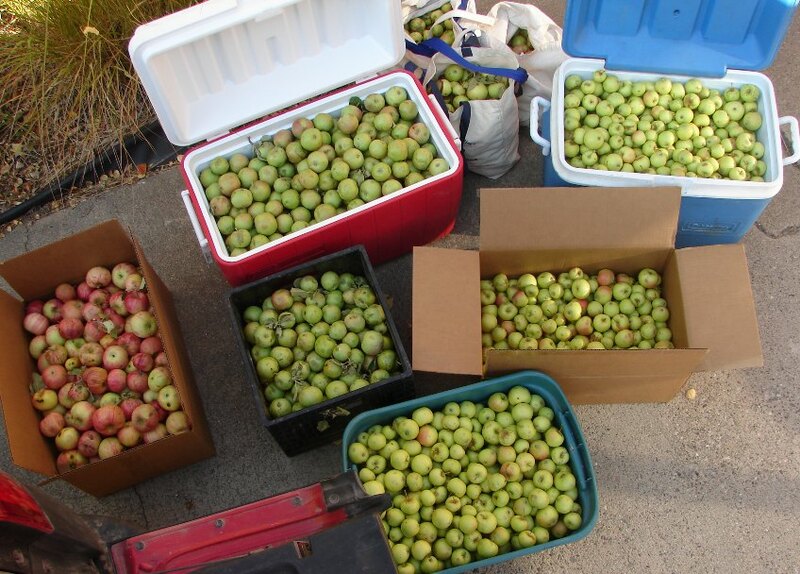 We harvested about 200 pounds of apples, most of them suitable for eating or pressing into cider. Sub-standard apples will be used for animal feed. We’ll be pressing cider at our Oct. 28th event. We can still put you to work as a volunteer if you’re interested, and if you need help with your apples, please contact us!